If only the teams could have invested as wisely as the champions Chennai Super Kings, the big guns considered to be a “super catch” for Indian Premier League 2018 would not have become a burden in just one season. The list of dumped, read released, top guns includes ageing, tiring legs unable to live up to their exceptionally glorious past and some unreasonably “big investments” in a mad rush on the auction table. While the players failed on the field to live up to high expectations or repay their big fat salaries with performance, the franchisee team managements to stand exposed in strategies to build the ream. The decision makers yet again had the liberty to make decisions. The players who turned out to be wrong or ambitious choices are shown the door as the IPL players retention window for Season 12 closed yesterday (Thursday). Gautam Gambhir and Yuvraj Singh head the list of big names brought home by their respective franchisees as more for their lower price tags than the specific, pre-conceived roles for the two veterans. Delhi Daredevils’ experiment Gambhir failed miserably – both as the captain and the opening batsman. Gambhir was confined to the dugout for most part of the competition after a sequence of failures compelled him to leave captaincy to allow his replacement in the batting order. There were reports that the gentleman Gambhir had declined to take his “salary” for non-performance. His elimination from was always on the card. Confirmed further as the franchisee got another left-hander opener Shikhar Dhawan home in trading with Sunrisers Hyderabad. Yuvraj, the man who had garnered ₹ 30 crore from the 2014 and 2015 seasons and ₹ 7 crore each over the next two years, could not even come close to be a shadow of his glorious past. The Punjab southpaw, who brought lots of brand value to the team, could never be a regular in the XI. How can one be the right choice when he was not the team’s first choice, when he was none other team’s choice. Such emotional acquisitions lead to unceremonious exits. There have been reports in recent past the one of the biggest names of the shortest format of the game was considering retirement from cricket. Kings XI Punjab did not just err in getting Yuvraj as an economical opportunity. Two of their high-value acquisitions – Axar Patel (₹6.75 crore) and Aaron Finch (₹ 6.2 crore) – too failed in deliveries to match their value in money. Patel and Finch along with Yuvraj are the top names in the long list of 14 players released by Kings XI Punjab. 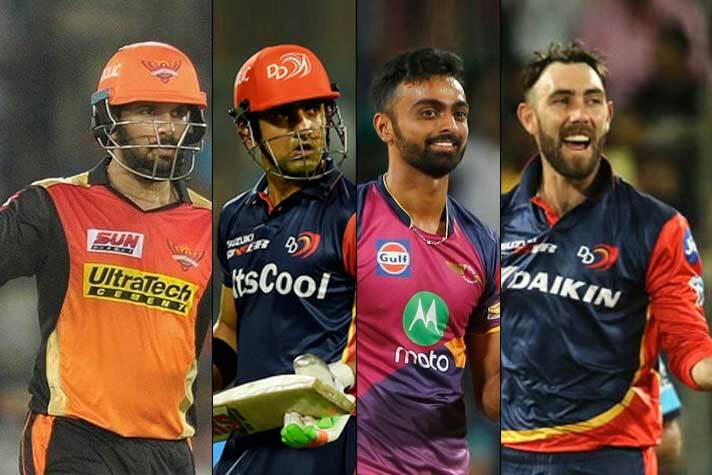 The camp that appeared busiest in the IPL 2018 auction hall has been no less busy in getting its team combination right after a brilliant start. Goes without saying, Kings XI Punjab will yet again be the busiest side at the Season 12 Auction in December. For they need the maximum players to complete the squad. For they will have the maximum amount to spend. The big money and big spending not always ensure big success. Despite big fat purse, the team will have to manage with “whatever available”. The wiser teams have their core groups ready. For them the auction is to fill the slots, to grab opportunities. Even Jaydev Unadkat would have been in an awe for Rajasthan Royals’ ₹11.5 crore bid for him. 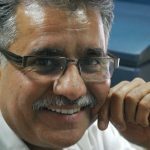 Only if the deal committed by the franchisee were right for the value the Saurashtra and occasional India bowler brought to the table, Unadkat would have been among the team’s choices for the upcoming season. Delhi Daredevils are compelled to release Glenn Maxwell for the fact that there is no purpose in blocking ₹9 crore from the team’s player purse if the player is not even available for the entire season. The top Australian Cricketers are highly unlikely for the entire IPL season for two factors – for the Kangaroos’ series against Pakistan as the league starts in March and then the mandatory World Cup predatory camp in May when the league will be heading for its climax. Delhi Daredevils also has to release their best bet in bowling Mohammed Shami as the seamer in engulfed with uncertainties for reasons beyond cricket. Among others, Virat Kohli-led Royal Challengers have failed to find value in their two overseas multi-crore acquisitions – Chris Woakes (₹ 7.4 crore) and Brendon McCullum (₹ 3.6 crore). CLICK HERE to know all about players’ all IPL deals.